Just imagine what a child can be exposed to when they move from state to state, or west coast to east coast as being part of the military life. You listen to stories about work, you listen to debates at the dinner table about world conflicts, and you are constantly surrounded by men and women in military uniforms. You are raised knowing that what your parent does is in the duty of your country, and in a small way you are doing your duty of moving around the country, from base to base. When the time comes for your mom or dad to get deployed overseas, the first thing that doesn't come to mind is that they will be safe or that there will not be any violence. On the contrary, it is the exact opposite. You are afraid for their safety and you know there will be times in which they must engage in violent encounters. 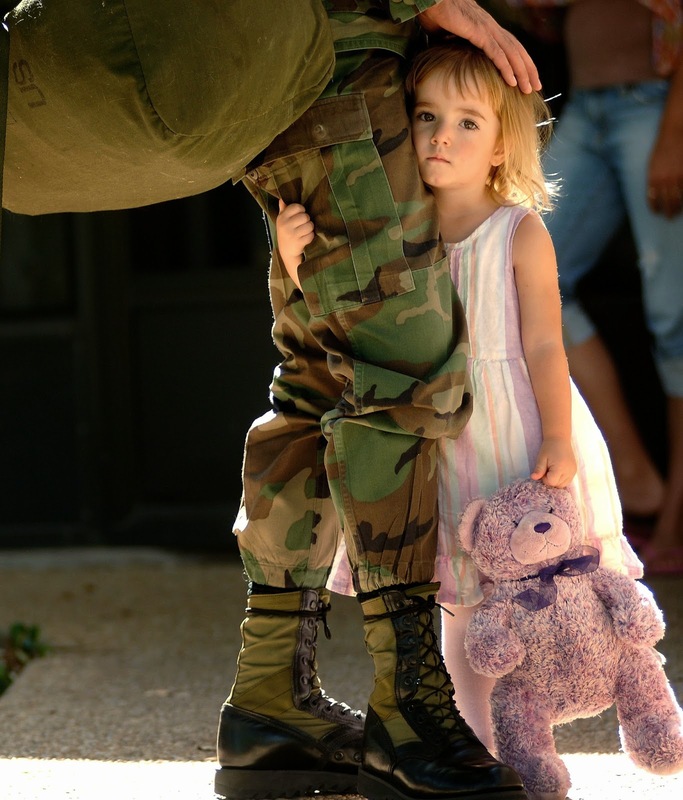 In summary, you grow up thinking that what your military parent does is needed to protect you and everyone around you. However, if you look at it in another light, there should be other ways of solving a conflict without having a child's parent, or in worst cases parents, risk their lives. What other approaches can we take to spreading nonviolence that doesn't have to allow the suffering of a military brat?